Welcome to Part 2 of Enuffa.com's History of WrestleMania. 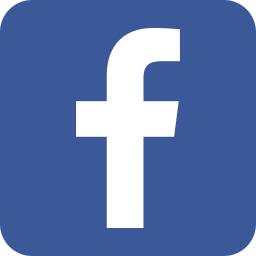 Today I'll be covering 'Manias 4 through 6. Let's get to it! 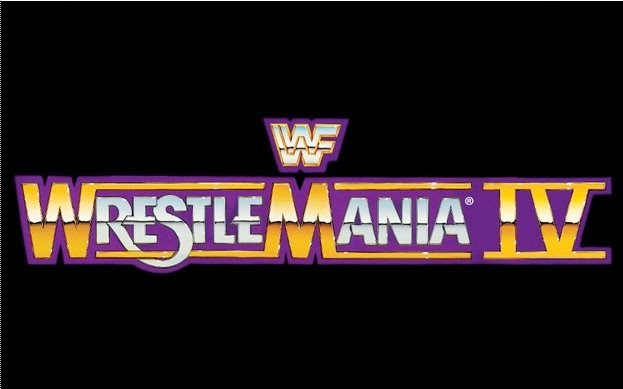 'Mania IV was assembled with the intent of giving us the biggest edition to date, with the centerpiece being the first-ever WWF World Title tournament, the result of a controversial Hulk Hogan-Andre the Giant match on NBC that saw Hogan screwed out of the Championship only for Andre to turn around and sell the belt to Ted Dibiase. 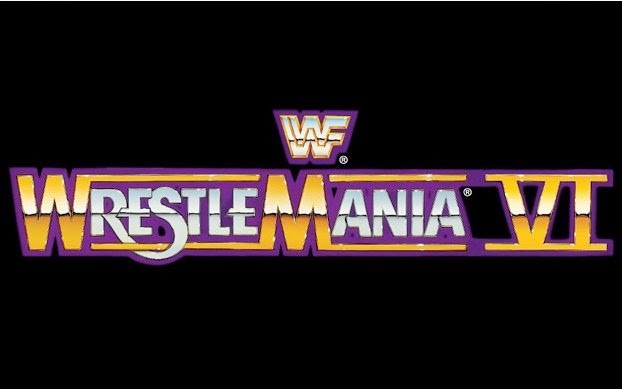 WrestleMania IV featured a huge roster and was expanded to four hours to accommodate the sprawling 16-match card. Unfortunately this show suffered from simply having too much going on. The tournament involved 14 men and all by itself necessitated 11 matches. As a result almost none of the tourney matches, including the final, were given enough time to be very memorable. The venue is also a far cry from the Silverdome, Trump Plaza being a rather cavernous arena where the crowd consisted largely of Donald Trump's business associates who showed almost no enthusiasm for the four-hour wrestling bonanza. The undercard featured a battle royal (which was fun but of little importance except as a way to turn Bret Hart babyface after he was doublecrossed by Bad News Brown), Ultimate Warrior vs. Hercules in a clash of powerhouses (which was so short as to barely warrant a mention), a British Bulldogs/Koko vs. Islanders/Bobby Heenan six-man tag (which was nowhere near as good as the previous year's Bulldogs-Harts match). There were also two title matches - I-C Champion The Honky Tonk Man faced the wildly popular Brutus Beefcake in a brief and forgettable DQ loss, while Strike Force and Demolition was one of the few strong matches on the card, ending with Ax murdering Rick Martel with Mr. Fuji's cane in a finish very similar to the WrestleMania I Tag Title match. Thus began Demolition's record-breaking title run. The WWF Title tournament itself was fine in theory but very diluted in execution. Only four of the 14 participants really had a chance of leaving 'Mania as the Champion, and two of them were eliminated in their first match. The Hogan vs. Andre quarterfinal bout marked the first time a WrestleMania featured a rematch from the previous year. Sadly where their 1987 encounter was extremely memorable and has achieved legendary status, its 1988 threequel was little more than a throwaway designed to get both men out of the tournament. Really the only standout match in this entire tourney was the first-round match between Ricky Steamboat and Greg Valentine. Everything else was either too short (Bam Bam Bigelow vs. One Man Gang for example), inoffensive but instantly forgettable (Dibiase vs. Don Muraco), or yawn-inducing (Jake Roberts vs. Rick Rude). Even more of a letdown was the tournament final between Randy Savage and Ted Dibiase. What should have been a 15-20 minute clinic amounted to a nine-minute schmozz that seemed to focus more on Hogan and Andre on the outside of the ring. 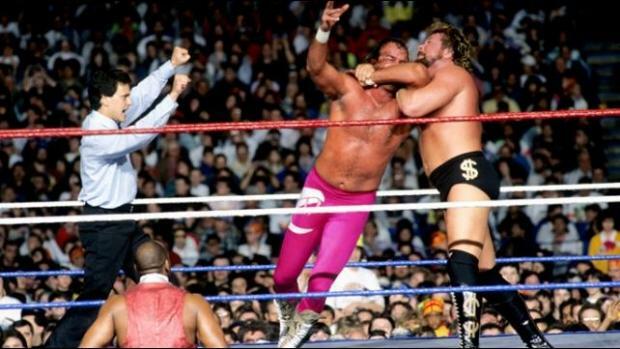 Worst of all was the booking decision to have Hogan cost Dibiase the match by hitting him with a chair. Hardly a way to get Savage's main event face run off to a strong start. A truly iconic WrestleMania moment. The aftermath was arguably worth it, as the sight of Savage hoisting Elizabeth onto his shoulder as she held the WWF Title aloft is an iconic 'Mania moment. But strangely Savage's championship run featured very few great matches - a far cry from his workhorse Intercontinental stint. Oh we're still in this weird convention center, are we? The fifth installment marked the first and only time the supercard was held in the same arena two years in a row. 'Mania 5 was also a 4-hour card and featured 14 matches. 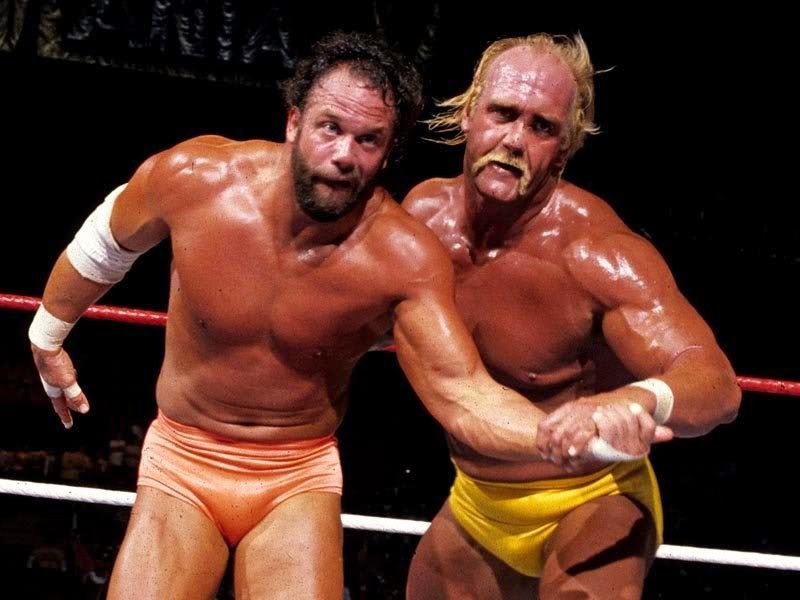 This show succeeded where IV failed however in showcasing a mammoth featured bout, as former allies Hulk Hogan and Randy Savage collided for the WWF Title. 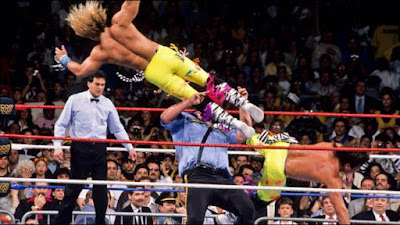 Hogan-Savage was the first WrestleMania main event that was actually a strong wrestling match, and also the first to exceed the fifteen minute mark. If Savage-Steamboat was the prototypical WWF workrate clinic, Hogan-Savage was the model for how to do an epic WWF main event match. It was full of action, reversals, drama and intrique, and until the inevitably stupid "hulk-up" comeback/no-sell in the final minute, it was one of the best matches of 1989. It was also the 18-month culmination of one of the best story arcs in wrestling history: the formation, ascension, and eventual implosion of the MegaPowers. This was a brilliantly executed angle from start to finish. Unfortunately Savage's stock was pretty damaged by this feud and he spent the next couple years as just another guy. Savage looks less than thrilled about being tossed out of the main event picture. The WrestleMania Intercontinental Title match somewhat returned to form as the Ultimate Warrior faced Rick Rude in a near show-stealer. Their Summerslam rematch five months later would overshadow the initial clash, but this is still a fine undercard match with a great cheap ending - Warrior went to suplex Rude from the apron into the ring when Bobby Heenan tripped Warrior and held his leg down, allowing Rude to fall on top of him for the pin. 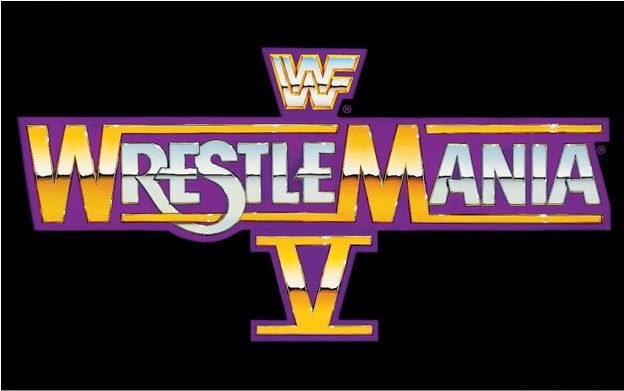 WrestleMania V was another show that simply had too much going on (a pattern that would continue for a couple more years), and a few trims to the lineup could've made this a much stronger overall card (Did we really need Heenan vs. Red Rooster, Dino Bravo vs. Ronnie Garvin, or Jim Duggan vs. Bad News Brown?). Still there were a lot of fun little matches. The opener, Hercules vs. King Haku was better than it had any right to be, Mr. Perfect vs. Blue Blazer was a solid showcase of unorthodox offense, the Hart Foundation vs. Honky Tonk & Valentine was a nice tag match, and the Rockers' 'Mania debut against the Twin Towers ended up as a very enjoyable size mismatch and one of the best bouts of the night. Also of note was the breakup of Strike Force. Rick Martel had recently returned from injury and along with partner Tito Santana faced WWF newcomers Arn Anderson & Tully Blanchard. Halfway through the match Santana accidentally hit Martel with a flying forearm, and Martel took it personally, abandoning Santana to be brutally double-teamed by Arn and Tully on their way to a decisive win. Martel would spend a few months as a pretty great heel with a mean streak (who by all rights should've gotten an I-C Title run) before being saddled with the goofy "Model" gimmick and floundering at the bottom of the card. Additionally this show had a couple disappointments. Tag Champions Demolition faced The Powers of Pain, but the match was dragged down by the inclusion of Mr. Fuji. A straight-up two-on-two match would've undoubtedly been stronger. Also Brutus Beefcake and Ted Dibiase slogged through a dull ten-minute affair which ended in a double countout, and Jake Roberts and Andre the Giant had an unwatchably terrible brawl officiated by Big John Studd. I daresay this was the worst match of 1989. Despite its obvious shortcomings 'Mania 5 holds a lot of nostalgia for me, as it was the first WrestleMania I watched live (via closed-circuit to be exact). It was far from a great show but it boasted easily the best main event of the series thus far (and beyond), and multiple good undercard matches. It just suffered from too much filler (which was the norm during this era). 'Mania returned to a stadium setting in 1990, with a gigantic face vs. face main event for both of the singles championships. Hulk Hogan vs. 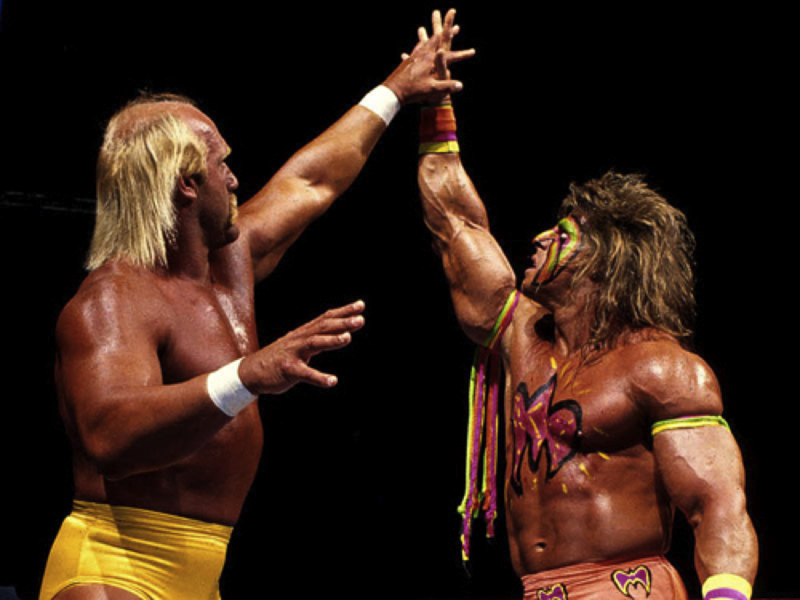 Ultimate Warrior was arguably an even bigger match than Hogan vs. Savage, in that it had never happened before and featured the company's top two babyfaces head to head. The match itself was similar in style to the Hogan-Savage match, except it lacked a great wrestler to carry the workload. Hogan and Warrior did what they could, but two mediocre wrestlers squaring off for 20+ minutes can only do so much. While the aura surrounding the match was pretty epic, the match itself always left me rather bored, and I consider it one of the more overrated matches in WWF/E history. It was notable however for being one of the few times Hulk Hogan ever jobbed cleanly. This was a true passing of the torch (which unfortunately didn't really stick, but that's beside the point); a rare example of Hogan acting unselfishly and putting his stamp of approval on a would-be successor. A titanic battle.....between two mediocre workers. One of the biggest issues with 'Mania 6 is that the main event was so colossal the rest of the card felt totally underwhelming. Other than Ted Dibiase vs. Jake Roberts, an okay match for Ted's Million Dollar Championship, there are almost no memorable matches. Demolition vs. Andre & Haku was notable for being Andre's final North American match (the entirety of which he spent on the apron) and for Demolition winning the Tag Titles for the third and final time, Mr. Perfect and Brutus Beefcake had something approaching a decent match until Perfect's overconfidence cost him, and the Hart Foundation steamrolled over the Bolsheviks to catapult themselves back into the title hunt (which was really a 19-second waste of the company's best team). The rest of the roster was rather haphazardly inserted into various slots on the card, but no other matches of any value came out of it. Randy Savage for example went from headlining two consecutive 'Manias to being on the losing end of an ill-conceived mixed tag match with Sherri Martel against Dusty Rhodes and Sapphire (interesting how far most wrestlers fell down the card after feuding with Hogan). Another issue is that the roster was in desperate need of a shakeup. Most of the players were sort of treading water at this point. No heels were being put in a position to challenge the babyface champions; in fact Warrior's first challenger was Haku of all people, and he spent the summer feuding with Rick Rude who he'd already beaten soundly a year earlier. Hogan would recycle his Heavyweight vs. Super Heavyweight formula that summer, delivering stinker after stinker against Earthquake. 1990 was an awful year creatively for the WWF, and WrestleMania VI is a perfect illustration of everything I didn't like about the product. Along with the first 'Mania, I consider number 6 to be at the bottom of the heap. What I'd Change: Where do I start? Other than the huge money main event and one or two other matches, there's nothing going on here. Cut the show down to no more than 10 matches and only use your A and B players. Most Disappointing Match: Oddly, probably Hogan vs. Warrior. At the time I expected something amazing. When I watched the show on VHS I was pretty dismayed by the mediocrity of the match. Most Pleasant Surprise: Yeesh, nothing really.